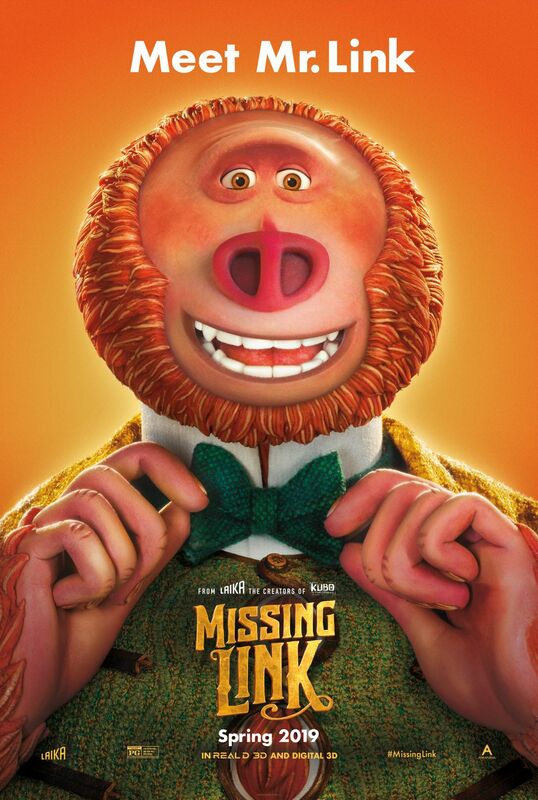 Coming Soon had the opportunity to sit down with Missing Link star Zach Galifianakis to talk about the upcoming animated film from LAIKA and just why he wanted to do the voice of a proper-dressed Sasquatch. Check out the full interview in the player below! In the film, Zach Galifianakis is Mr. Link: the slightly silly, surprisingly smart and soulful beast who is the last living remnant of Man’s primitive ancestry, the Missing Link. As species go, he couldn’t be more endangered; he’s the last of his kind and he’s lonely. Proposing a daring quest to find his rumored distant relatives, he enlists the help of Sir Lionel Frost (Hugh Jackman), the world’s foremost investigator of myths and monsters, and Adelina Fortnight (Zoe Saldana), who possesses the only known map to the group’s secret destination, in an odyssey around the world to find the fabled valley of Shangri-La. Bursting with humor, heart, and a profound message of acceptance and finding one’s place, Missing Link is written and directed by Oscar nominee Chris Butler (ParaNorman). LAIKA’s head of production and Oscar nominee Arianne Sutner (ParaNorman, Kubo and the Two Strings) is producing with Knight, who earned an Academy Award nomination and BAFTA win for his directorial debut on Kubo. The voice cast also includes award-winning actors from all corners of the world, such as Oscar winner Emma Thompson (Sense and Sensibility), Stephen Fry (The Hobbit), Timothy Olyphant (Justified), Matt Lucas (Alice In Wonderland), David Walliams (Little Britain), Amrita Acharia (Game of Thrones), and Ching Valdes-Aran (Nurse Jackie). The film is scheduled to hit theaters on April 12. The post CS Video: Zach Galifianakis On How He Relates to the Sasquatch-like Mr. Link appeared first on ComingSoon.net.